I made two of these Oak Kitchen Islands. One for my Mom & Dad and one for my Grandma Hazel. Yes the doors are one solid board and they have a routered edge to pull them open. I made this four years ago and it still looks as good as the day I finished it. 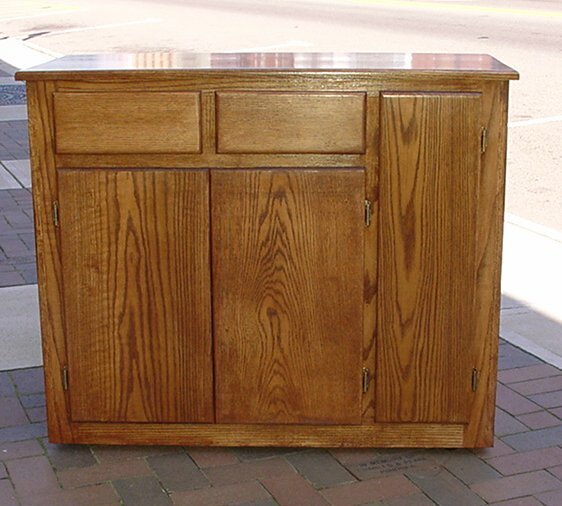 A beautiful Kitchen Island made of beautiful wood.